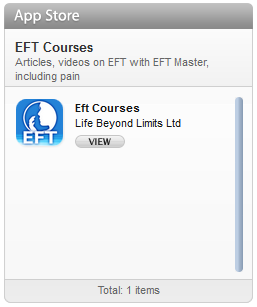 The EFT Masterclass Conference is now live. Finally after months of background work the bookings are open. I am really excited at the line up of presentations we have at the conference this year. I love innovation, we certainly have that! Tapas Fleming the developer of TAT is our special guest. She is going to demonstrate TAT to the conference attendees and as a special bonus to the conference will run a pre- workshop TAT Basics workshop. Amongst our many guests we have Andy Bryce, a Canadian EFT Master. This is the first time that Andy will be presenting at the conference. 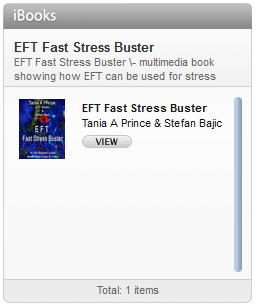 He is doing a very topical presentation: “Raising above the Downturn with EFT”, this is going to be a very interactive presentation. We also have Robert Smith over from the USA. This is a rare opportunity to see Robert’s work, “FasterEFT” live. To catch Robert on youtube follow this link. I, myself am going to be demonstration how to clear the legacy passed onto us from our ancestors- (I might perhaps add- the legacy you had rather they had not passed on),this is a part of the Deep State RePatterning process that I developed. I am going to add here, you do not need to have any experience of EFT to come to this event- you can learn as you go or alternatively attend the EFT Basics- FASTRACK workshop. 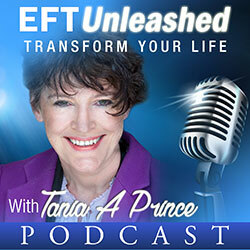 This is an event for new and experienced EFT’ers. The Masterclass Website is www.eftmasterclass2009.com The conference will be near Manchester in England. By the way if you are interested in attending you might like to book soon and take advantage of the early booking discount.